While we toil away on our various projects, it is useful to consider something that is quite humbling. The press release below from NASA describes the process of photographing Earth from Saturn. 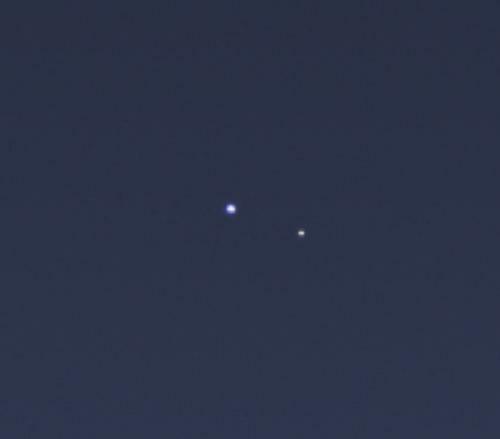 The Earth and Moon as photographed by NASA’s Cassini spacecraft from Saturn orbit on July 19, 2013. The cameras on NASA’s Cassini spacecraft captured this rare look at Earth and its moon from Saturn orbit on July 19, 2013. The image has been magnified five times. Taken while performing a large wide-angle mosaic of the entire Saturn ring system, narrow-angle camera images were deliberately inserted into the sequence in order to image Earth and its moon. 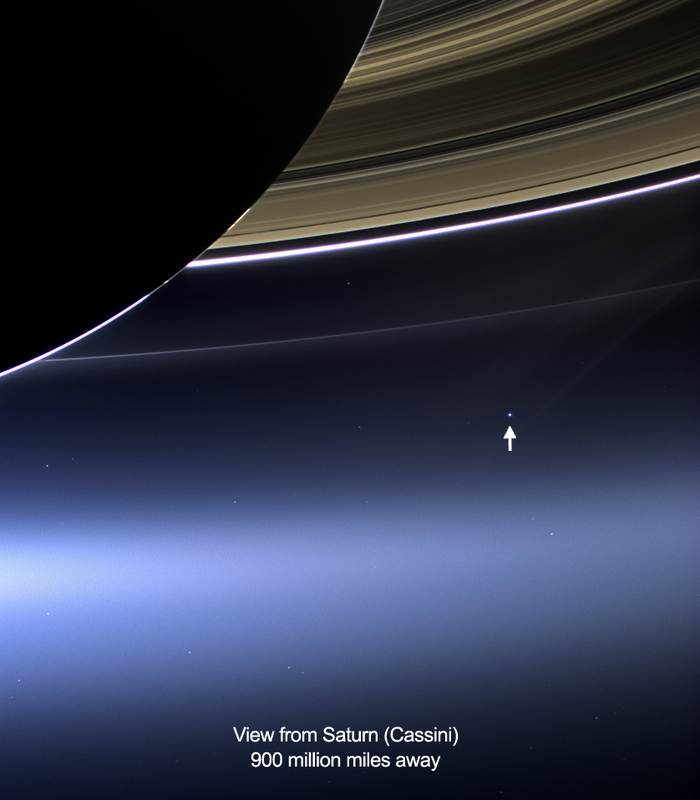 This is the second time that Cassini has imaged Earth from within Saturn’s shadow, and only the third time ever that our planet has been imaged from the outer solar system. Image taken on July 19, 2013: the wide-angle camera on NASA’s Cassini spacecraft has captured Saturn’s rings and our planet Earth and its moon in the same frame. Images taken using red, green and blue spectral filters were combined to create this natural color view. The images were obtained with the Cassini spacecraft wide-angle camera on July 19, 2013 at a distance of approximately 753,000 miles (1.212 million kilometers) from Saturn, and approximately 898.414 million miles (1.445858 billion kilometers) from Earth. Image scale on Saturn is 43 miles (69 kilometers) per pixel; image scale on the Earth is 53,820 miles (86,620 kilometers) per pixel.